I love granola and think it is a very healthy snack, but I can’t have grains. 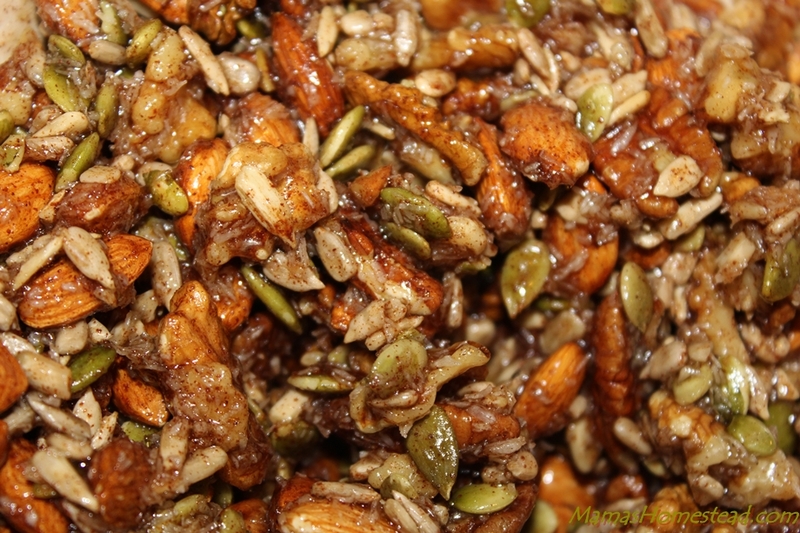 So, I made this grain-free granola. It is delicious and a perfect snack on the go. I took some on vacation and take it with me each week for my lunch at our homeschool co-op. My kids helped me make it and can’t get enough of it. 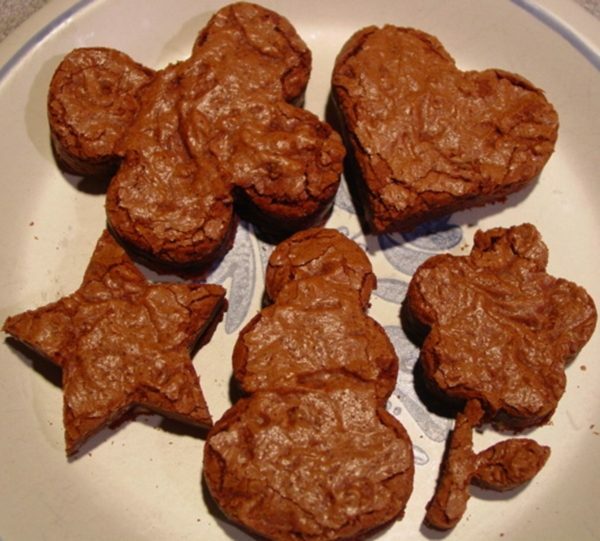 They helped me add all the ingredients, stir them together, and even started to eat it before it was baked. 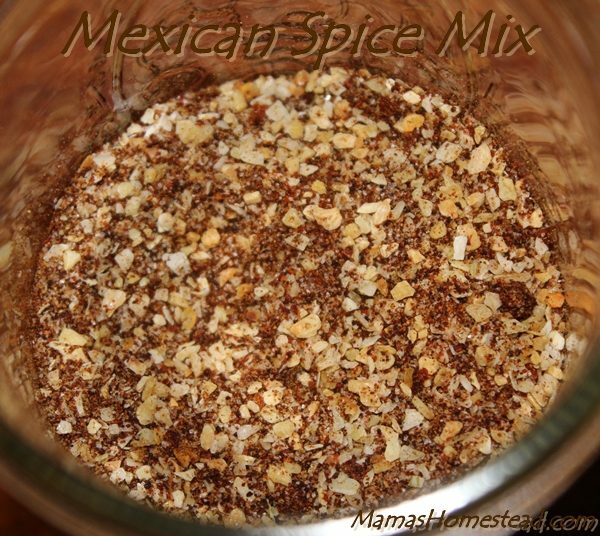 Measure nuts, seeds, coconut, sea salt, and cinnamon into a large bowl and mix well. Add honey, maple syrup, oil, and vanilla and stir together until well combined. Spread on a large baking sheet lined with parchment paper. Bake at 300 degrees F for 45 minutes or more, stirring after about 30 minutes. 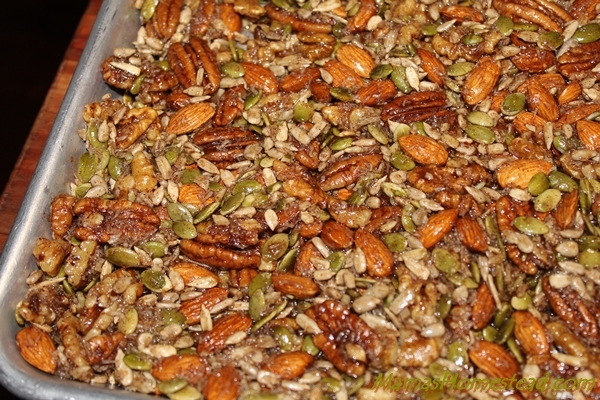 Stop baking when the granola is toasty brown. If you like chewy granola, use less time. For crunchier granola, use more time. 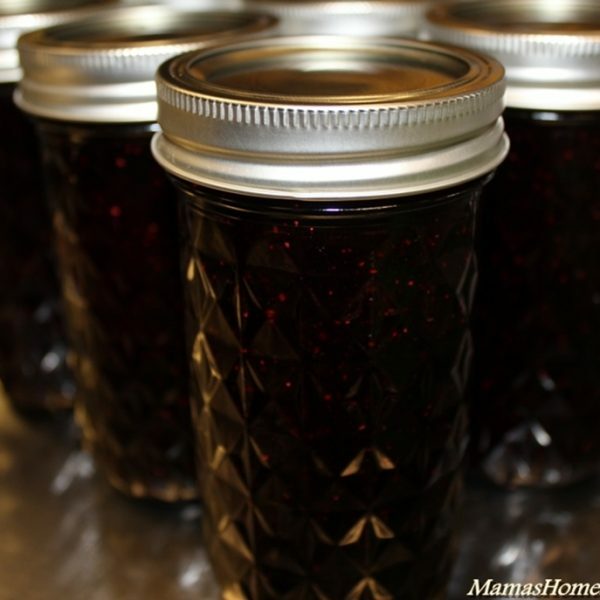 Allow to cool completely and store in an airtight container. 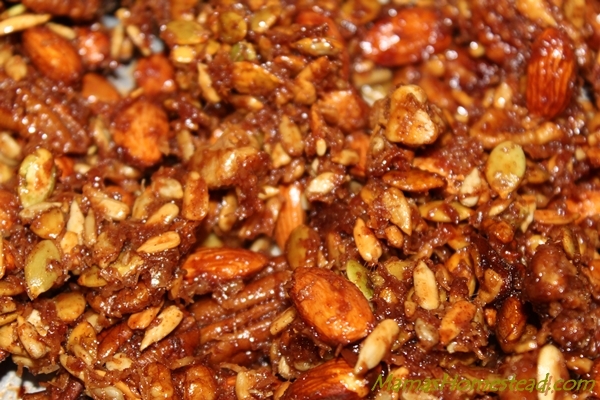 If desired, after your granola has cooled stir in some chocolate chips or dried fruit. If you are a chocolate lover like me, you can also replace the cinnamon with coco powder. Enjoy! 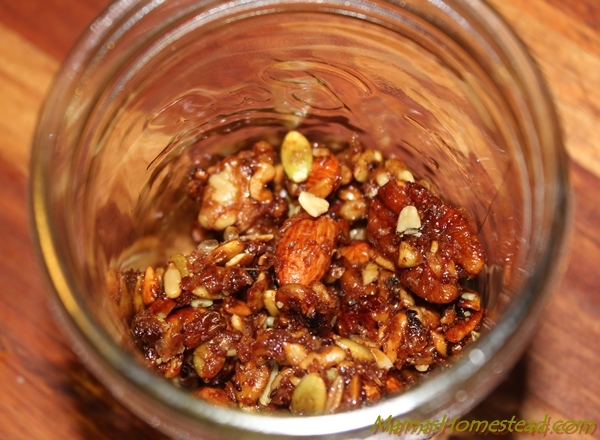 If desired, after your granola has cooled stir in some chocolate chips or dried fruit. 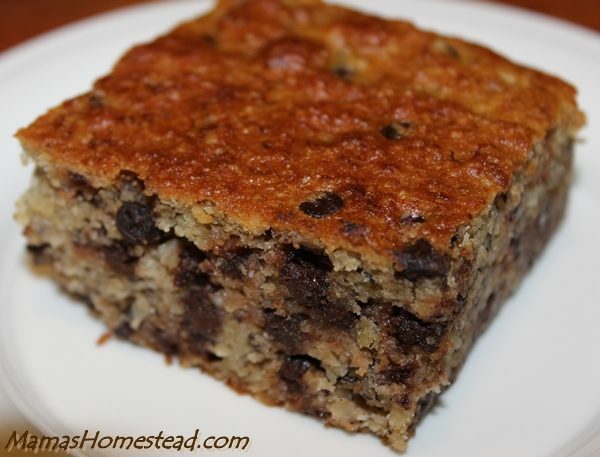 If you are a chocolate lover like me, you can also replace the cinnamon with coco powder. Enjoy!